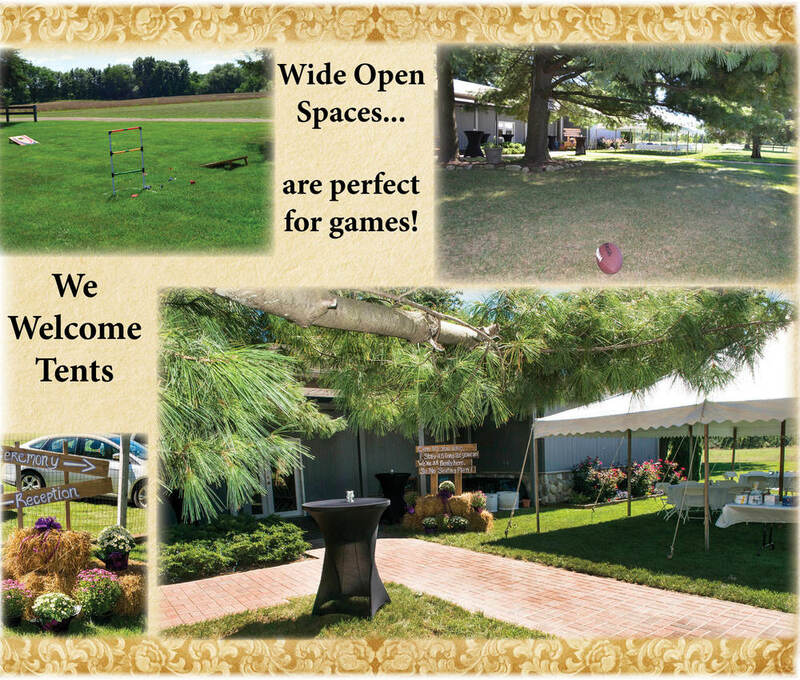 Farm and Outside Weddings are second nature to us! This bride strolls down the cobblestone isle on horseback. Since then we have expanded the pergola. Wings Gallery Reception Center also has a "Bridal Suite" for brides and bridesmaids to share snacks and prepare for the outdoor ceremony.